Custom jewelry is a great way to design a gift that is unique and has special meaning and value. Whether you’re creating a custom piece for yourself or as a gift to give to someone, it is a special process that creates a symbolic token out of your feelings, creativity and ideas. The most common setbacks people have with custom jewelry is that they are under the impression that the process to design custom jewelry must be very costly or that the process will be challenging or they don’t know where to start. Let’s explore these setbacks in detail. The costs to design your own customized jewelry is very affordable and often not much more or the same as picking out a designer piece of equal quality. At Allen’s Jewelers we pride ourselves on working with our customers to understand their needs and guide them through the process in order to help them get the results they are looking for. 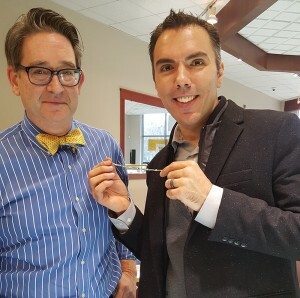 The first step to creating a custom piece is to schedule a consultation with one of design associates at Allen’s Jewelers in to our show room. A couple years back, we worked with a customer who wanted to create a unique, custom jewelry piece to give to his wife. We went through our process to design a beautiful, unique sterling silver bracelet that featured birthstones and name engravings for each of the three members in their family. Since he was planning on having another child, we ensured him that the design could be adjusted as his family grew. Both he and his wife were ecstatic with how the piece turned out when it was finalized. Since then he had his second child and recently came back in to have the piece updated to feature his new son. This original, thoughtful gift is totally unique to him and his family that can be cherished through their lives. 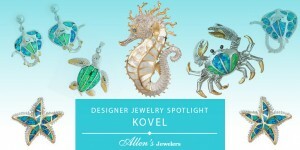 Read more Custom Jewelry Articles or Contact Us to Schedule a Consultation.